Europa Components is attending the ED&I Expo as one of the country’s leading suppliers and service providers of switchgear, enclosures, distribution equipment, circuit protection, fuses, surge protection, plugs and sockets and control gear solutions for the UK market. With a history spanning over 40 years, Europa provides a full service, including design, assembly, technical/sales and product supply for the entire UK electrical wholesale market. There is a wealth of knowledge available through the company’s experienced sales department, with specialist technical help and advice covering the entire range of products. Just one of the new products from the company’s large range that it will be able to highlight at the show will be the family of Reflex Pendant Control Stations. The company says the new Reflex range of single-row push-button stations feature an innovative modern design offering ease of installation and high performance. 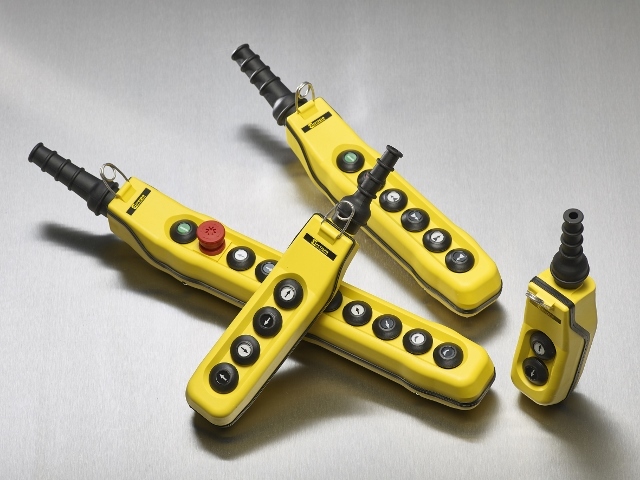 Well suited for heavy-duty applications such as hoists and cranes, various controls and switch configurations are available in pendant sizes ranging from two all the way up to 12 buttons. The pendants are shock proof and resistant to atmospheric agents, oils and temperature changes, rubber gaskets ensure protection against dust and liquids and there is internal space allowing for all connections to be made quickly and easily. The NC contacts feature guaranteed opening conforming to EN60947-5-1 with a 2NC option available for added safety. The emergency stop push button has been designed in accordance to EN418 regulations. All buttons are marked with international symbols and all contacts are silver alloy and self-cleaning. Check them out as well as all everything else the company has to offer on Stands 28, 29, 46 and 47.